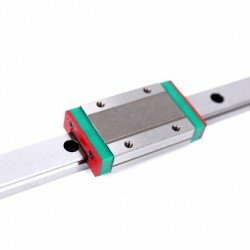 BLH-M series is a miniature linear guideway that comes in a compact size with a Gothic arch contact design that offers high stiffness and high rigidity against moment loads in all directions. 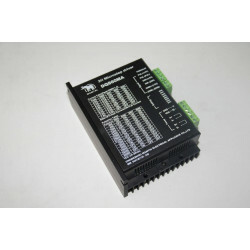 The MG series also offers anti-corrosion protection which all material is in a special grade of stainless steel for compatibility in various working environments. 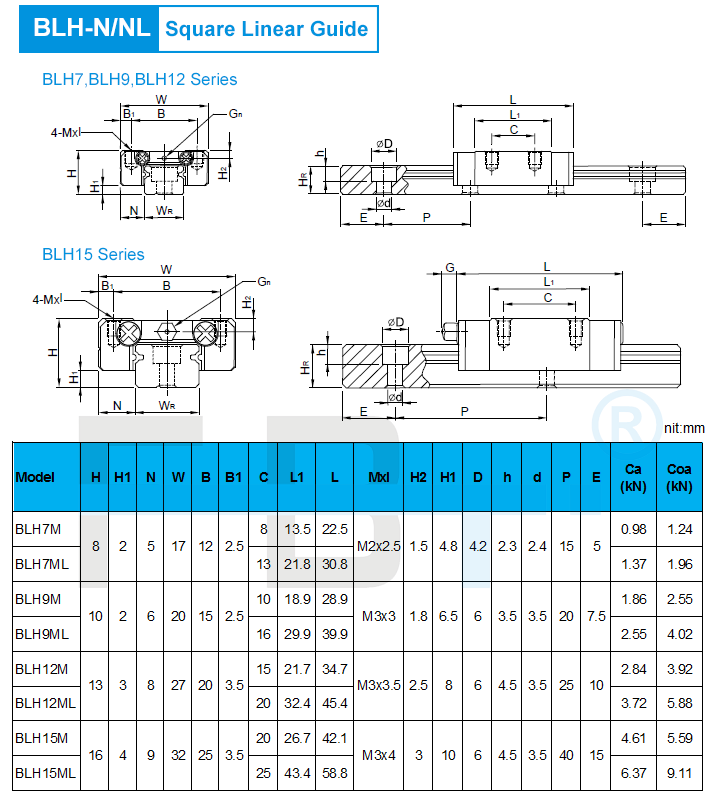 Chinese Manufacture / Fabricante / Produttore / Herstelller for High performance Linear guide,BLH-M are for miniature size Linear guide,included 7mm,9mm.12mm and 15mm Linear rail. 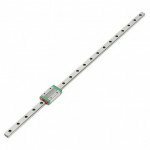 Only 1 items can be ordered with each rail.